The view at sunset from one of Dublin’s bridges across the river Liffey (I’m thinking it was the O’Connel Bridge). 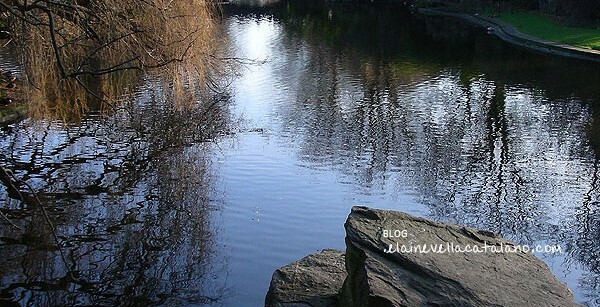 Taken at the St. Stephen’s Green public park in Dublin, Ireland. 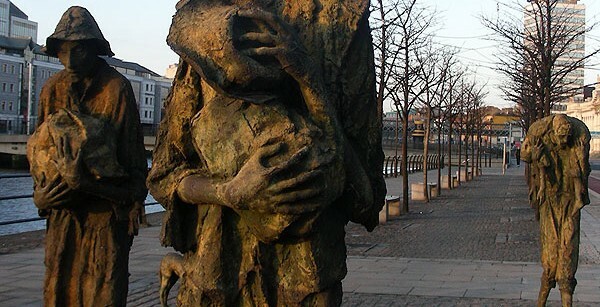 Famine Family Memorial statues located in the Dublin Docklands, commemorating the Great Famine of the mid-19th century when Ireland lost more than one million people to famine and emigration.